Location was great, very easy to get around Rome from here and lots of restaurants near the property. Host was very helpful and was there when we arrived. Location, layout were wonderful. Didn't use the kitchen but it all was there. Had a writing table, and four chairs. Loved the bells drifting in each quarter hour from the nearby church. Not too loud to keep you awake but just enough to tell you the time in the dark. Very friendly host. 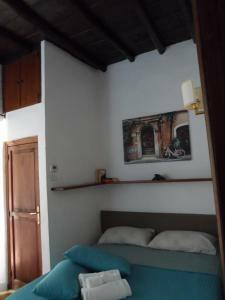 Nice little apartment with perfect location in Trastevere, with place for the three of us.. Good restaurants close by. Busy part of Rome, but no noise in the apartment. Nice place close to city center and to center of night life. 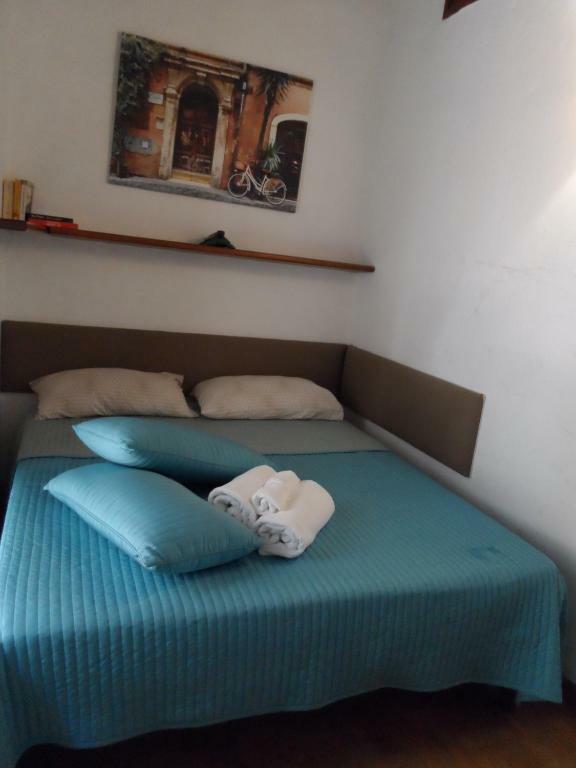 The location is in the most romantic part of the city - the heart of Trastavere The place has a charm and atmosphere of its own, situated in a quiet street, at the same time in close proximity to the lively abundance of cafes, restaurants and shops. Within walking distance to sights - you cross the bridge and you are there! Location! In the middle of eveything- from Vatican to local caffees. Excellent location, easy and quick to get to the center and other attractions. Nearby there are many restaurants, bars, a supermarket. Fast settlement and contact with the owner. The kitchen is well equipped - oven, necessary set of dishes for cooking, refrigerator. 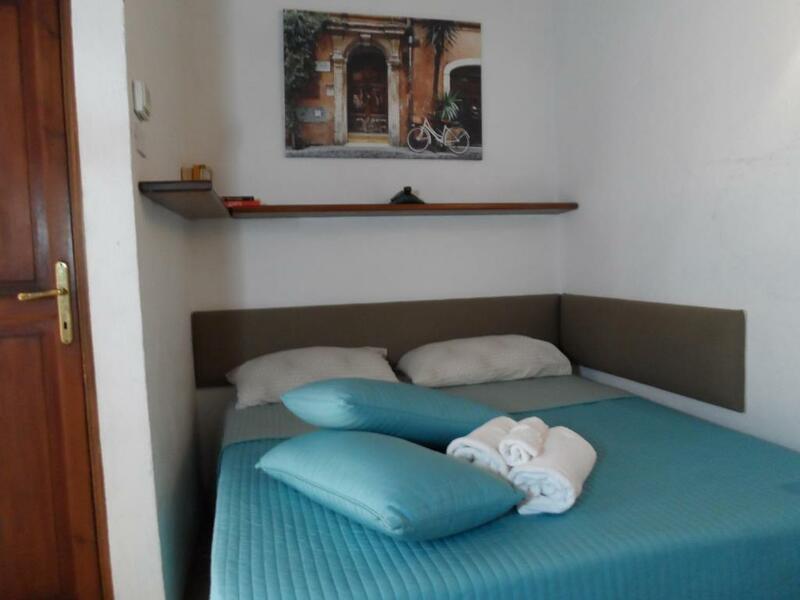 Located in Rome, just a 12-minute walk from Piazza di Santa Maria in Trastevere, Nichia's Trastevere has accommodations with free WiFi. Housed in a building dating from 1950, this apartment is 1.3 miles from Campo de' Fiori and 1.4 miles from Great Synagogue of Rome. 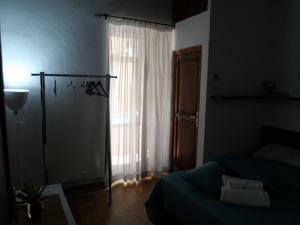 The apartment includes 1 bedroom, a kitchen with an oven and a fridge, as well as a coffee machine. The apartment also provides guests with a bathroom with a shower. 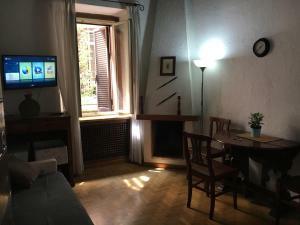 Palazzo Venezia is 1.7 miles from the apartment, while Piazza Venezia is 1.7 miles away. 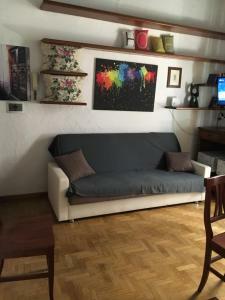 The nearest airport is Ciampino Airport, 11 miles from the property. When would you like to stay at Nichia's Trastevere? This apartment has a kitchen, sofa and oven. 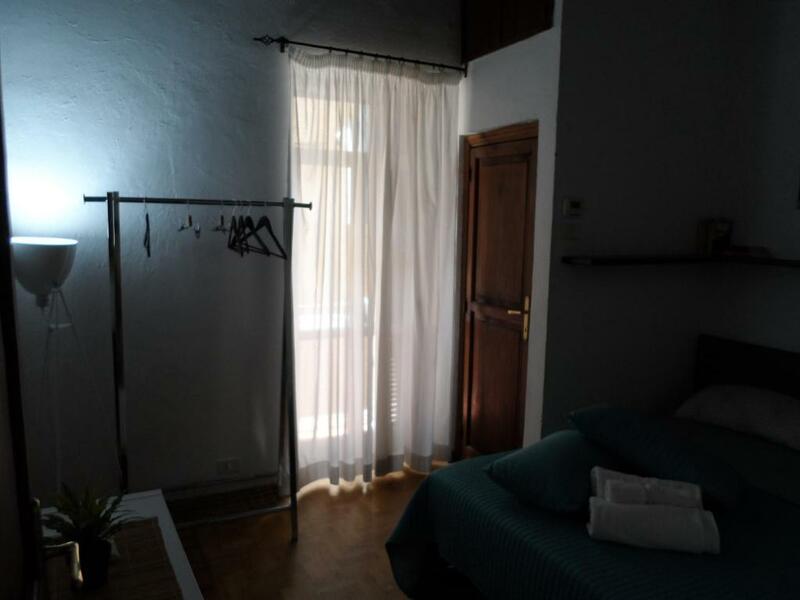 I love traveling and I love this house and making people feel satisfied so as I would like during my stay They are updated on events and what may be interesting for you in the days when I will be staying! Trastevere is full of places that offer you various find everything starting from aperitif through dinners to the Roman taste until late at night for a drink Trastevere is a neighborhood always abuzz with its narrow streets always full living and full of attrazzioni ... a few steps from the most important monuments of Rome, you will have everything at your fingertips! 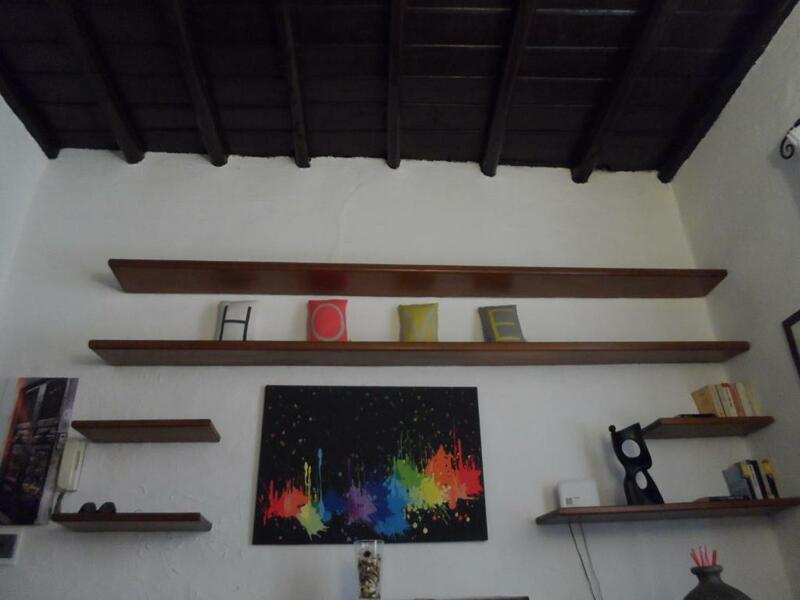 House Rules Nichia's Trastevere takes special requests – add in the next step! Nichia&#39;s Trastevere accepts these cards and reserves the right to temporarily hold an amount prior to arrival. Nichia's Trastevere accepts these cards and reserves the right to temporarily hold an amount prior to arrival. Please inform Nichia's Trastevere of your expected arrival time in advance. You can use the Special Requests box when booking, or contact the property directly using the contact details in your confirmation. Bathroom and toilet inlet need a little more attention. But OK. Nothing to really worry about. Bathroom a bit on the small side. A little more cleaning, especially in kitchen and bathroom would be fine. The place wasn't clean, there was food in the cupboards, empty beer bottles, no hand soap, uncomfortable beds and pillows, dirty entrance, horrible shower, couldn't use kettle. We had to pay cash and were marched to the cash machine. Old flat with unique historical ceiling. Plumbing in the house is old, the water does not merge well in the shower - you take a shower and stand on an ankle in the water - very unpleasant sensations. In the shower it would be possible to put at least the cheapest cheap liquid hand soap. I had to use shampoo - a trifle, but it would be nice. The bed in the bedroom is uncomfortable, the doors do not close and have cracks. The door to the toilet is not closed, the shower is dirty enough. Not enough adapters in the sockets for electrical appliances - you could dry your hair in the kitchen, turning off the refrigerator. 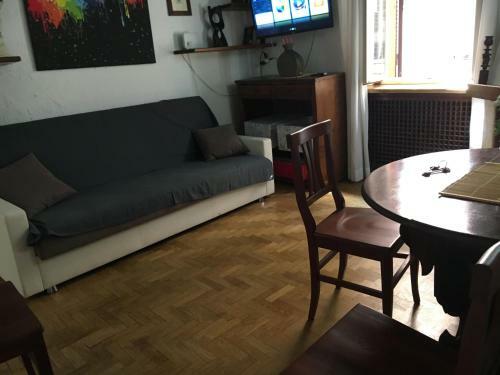 The apartment is very small and there is nowhere to place things - the rooms are cluttered with things. But all these troubles are a trifle compared to the location of the apartment. The floor of the unit was dirty and there were curly hairs all over the bathroom. The bedsheets didn’t seem like they had been washed. It was not really dirty, but...smelly. The sheets (especially on the sofa) didn't seem fresh. The host was super efficient and friendly and the location of this apartment is second to none - a short stroll to almost all main points of interest.